Here's a spicy, tasty tilapia recipe. 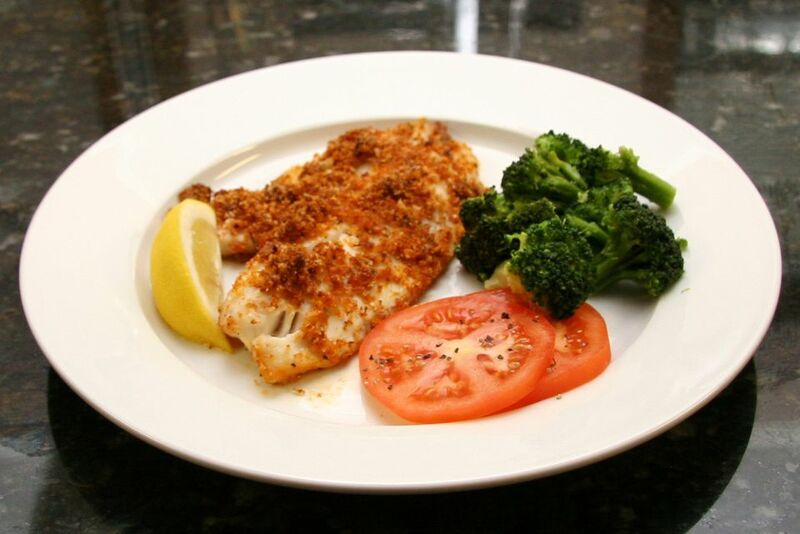 This is such an easy dish to prepare and thin tilapia fillets bake quickly. Serve this tilapia with rice or baked potatoes and vegetables or a tossed salad. If you don't have a prepared Cajun seasoning, make it from scratch. Try an unsalted Cajun or Creole seasoning mix and add salt to the crumbs, to taste. Lightly oil a large shallow baking dish. Arrange fish fillets on the prepared baking pan. Brush with 1 tablespoon of the melted butter. Combine the remaining 3 tablespoons of butter with the bread crumbs and seasonings. Sprinkle the crumbs over the tilapia fillets. Bake the fish fillets for 10 to 15 minutes, or until fish is cooked through. Fish will be opaque and will flake easily with a fork when done. Carefully remove the fillets to plates with a spatula. For soft fresh bread crumbs, process stale or day-old bread in the food processor and freeze the crumbs in zip-close freezer bags. You'll have breadcrumbs any time you need them. For fine dry crumbs, toast day-old or stale bread in the oven — about 12 to 14 minutes at 325 F — until dried, then process. This recipe can be prepared with other types of fish. Try it with haddock, cod, or pollock. For thicker fillets, allow a few extra minutes in the oven.